The Cairo International Festival for Contemporary and Experimental Theatre is officially kicking off its 25th edition on Monday at the main hall of the Cairo Opera House as the opening ceremony starts at eight before showing the Swiss photographic play You and I. The festival, which ends 21 September, will honor two Egyptian theatre icons, famous actor Ezzat El-Alaily and puppeteer Nagy Shaker, who died last month at the age of 86, in addition to a few other international theatre icons including American playwright David Henry Hwang and German Theatre scholar Hans-Thies Lehmann. Headed by Sameh Mahran, the festival committee announced the launch of an international center that helps to provide funds and organize workshops and produce theatre performances to serve the country and the region all year long. 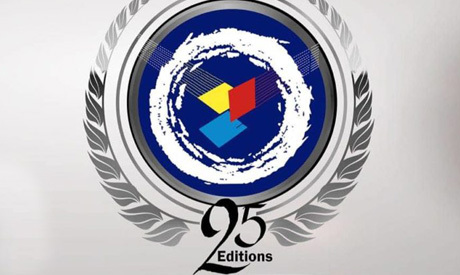 Amid the celebration of the silver jubilee, the Festival will revive Egyptian performances that won the best directing prizes through the past years including My Aunt Safia and the Monestry, Talk in Secret and even the famous play Black Coffee directed by Khaled Galal. The Festival has chosen 25 shows out of 160 submissions from 35 countries, including China, Canda, Switzerland, France, Poland, Russia, Mexico, Italy, Georgia, Morocco, Brazil, Tunisia, UAE, Syria, Palestine, and Kuwait. The performances will be staged on numerous theatres across Cairo. The performances will take place in nine theatres in the capital including the opera's small hall, Hanager theatre, and the national theatre. In addition to a Youtube channel, the Festival will also publish a historic book that documents all the shows and seminars held during all of its editions. The Cairo International Festival for Experimental Theatre launched in the late 1980s. It was suspended in 2011 and returned as the Cairo Int'l Festival for Contemporary and Experimental Theatre in 2016.